Elite Motor Sports aims to be your go to automotive supply shop in Woodland. Whether you’re looking to purchase wheels, tires, lift kits or otherwise, Elite Motor Sports in Woodland is proud to provide our customers with the products they need to keep their vehicles looking and running great. We’re happy to provide our customers with the best products and service in Woodland, and while we appreciate every one of our customers, we love to see new faces every day. With this in mind, here are just a few reasons as to why you should visit Elite Motor Sports today. 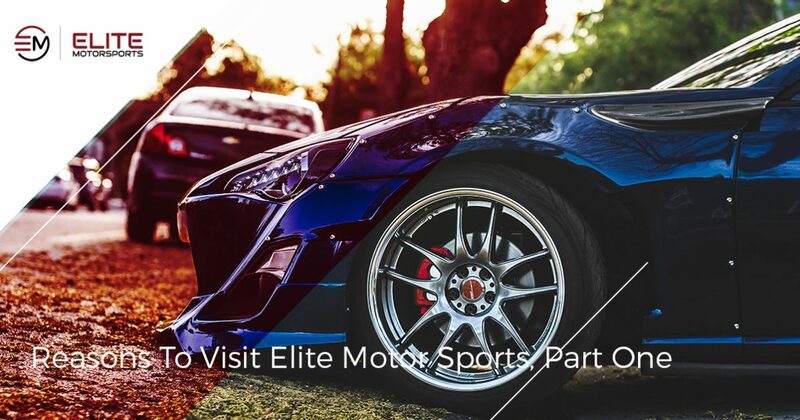 At Elite Motor Sports, we are committed to providing our customers with the absolute best in tires, wheels, lift kits and a variety of other accessories for their vehicles. In doing so, we try to offer as wide of a selection of products to our customers as we can. We understand that needs, preferences and tastes can differ from customer to customer, so we do our best to accommodate the needs of all of our customers by offering you products that satisfy any needs and tastes. For every type of product we offer, we try to stock a variety of brands that you know and trust. If you’re shopping for wheels, we stock brands like Hostile, Fuel, Niche and Lexani, along with many others. If you’re shopping for tires, we proudly stock brands like Michelin, Falken, Bridgestone and BF Goodrich. Unlike other larger chains, when you come to Elite Motor Sports, you’re dealing with people who are car enthusiasts just like you. We understand the need for not only quality products and services, but we’re just as particular about our own vehicles as you are about yours. With this in mind, we are able to provide our customers with a level of service that can only come from having a thorough understanding of our customer base. We provide you with the level of quality and service that we would want to receive ourselves, and our experienced techs carry this out in every job and customer interaction. We know what it’s like to truly love cars, and we know that you wouldn’t want just anyone performing work on your vehicle, no matter how large or small the job. Put your vehicle in the hands of not only a professional, but also a knowledgeable vehicle enthusiast. Those are just two reasons as to why you should visit Elite Motor Sports today. From our wide selection to our endless knowledge of vehicles, the professional staff can help provide you with the experience and service that you need. Whether you’re looking for a new set of tires or wheels, a truck lift kit, or other auto accessories, Elite Motor Sports aims to provide car enthusiasts in Woodland with the best products and service in town. We will continue this in part two of our blog series, but until then, visit Elite Motor Sports today for all of your automotive accessory needs .